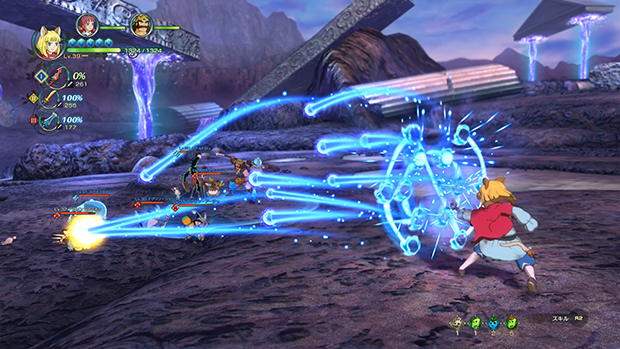 The first Ni no Kuni game, Wrath of the White Witch, was praised for its stunning visuals and audio design. Having Studio Ghibli involved obviously set expectations high and it delivered in spades on that front. Sadly, the gameplay wasn’t as good as the rest of the game. 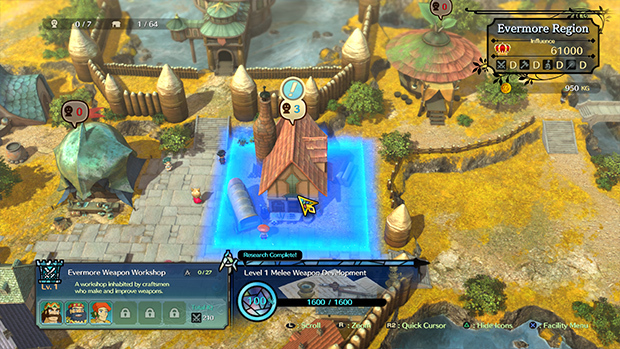 Bandai Namco Entertainment and Level-5 changed things up for the sequel, Revenant Kingdom. 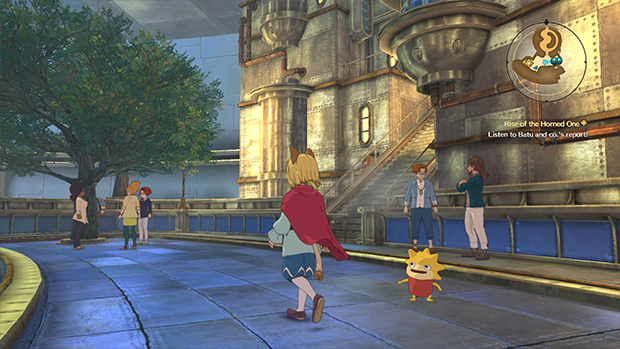 Ni no Kuni II: Revenant Kingdom is a definite improvement over the first game with a lot of charm but held back by a few poor design decisions and some things that don’t play well together. Unlike the first game, this is an action RPG. It is also the first game in the franchise to see a release on PC in addition to a console. Level-5 has developed quite an experience here. There are elements of RTS games, a lovely story, tons of content, time travel, and more. A lot of the design changes here from the first game are welcome additions and improvements but some things play it too safe. You begin witnessing a scene that takes place in a fictional city in what looks like USA with the President approaching an island on a bridge before seeing a missile fly towards said island and destroy it. After quite the explosion, the President wakes up in a new world looking younger and not knowing where he is or why he is there. This makes for quite the opening to a JRPG. You begin playing as Roland (who is the President) and trying to escape a castle with Evan who is set to become King of Ding Dong Dell. The story continues with a nice serving of politics and self discovery. There are a lot of modern conveniences I didn’t expect like a proper auto save system and checkpoints that let you manually save but also restore the party stats. The boss battles while great as a spectacle, fall flat in many situations because of how the attack patterns don’t really challenge you much. There’s an RTS like game mechanic that plays out much better than what Final Fantasy Type 0 HD had with some nice rewards. It is annoying that a lot of quests rely on this mechanic and things like this should never be forced because they just feel like and are padding. The main story however isn’t as long as traditional JRPGs and you will be able to finish it in little over 30 hours. When it was originally revealed, I was impressed with the art but didn’t think the final game would look remotely as good. The final build not only looks fantastic but it also runs brilliantly on both PS4 consoles. It is quite the sight to see a game that looks this great run so well. Visually there are loads of nice effects in combat as well that look continued to impress me in my time with the game. It allows for an 1800p output on the Pro and 1080p on the base PS4 with both at 60fps. Voice acting is another disappointing aspect. While it does give the option for playing with either English or Japanese voice overs, far too little of the actual dialogue is voiced. This is quite disappointing given how great the production values are otherwise. Even some of the voiced dialogue is just single words or sounds kind of like the early Danganronpa games. Thankfully the music is very good and worth listening to outside the game as well. While combat initially is fun, the beyond easy difficulty ruins this aspect quite a bit. It feels like a basic version of the Tales of combat but with no skill requirement at all. I was hoping for something better. The lack of full voice acting is another flaw. Even if there isn’t full voice acting, too little of the dialogue is voiced here. The final issue here is in the quest design. A lot of the quests are boring fetch quests. While many games are guilty of this, others manage masking the true fetch quest nature well. That isn’t the case here. 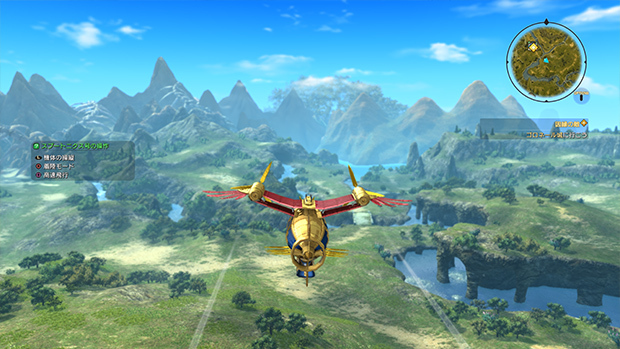 Ni no Kuni II is a great action RPG with a gorgeous art style. Level-5 have shown that they can still make big budget experiences on home consoles with this release and while a lot of the systems don’t come together for a cohesive experience, this is definitely worth playing. I hope future patches add a difficulty option because it is far too easy right now to be fun even with the Tales of like battle system. Overall this is still well worth playing if you’re a fan of JRPGs with action combat systems.